Custom Air Products & Services (CAPS), a leading commercial and industrial heating, ventilation, and air conditioning (HVAC) company, is pleased to announce that Larry Novak, PE, has passed the Oklahoma Construction Industries Board exam. We’re also very excited about what this means to Oklahoma regional customers by expanding our capabilities to respond to the increasing demand for our services in that area. Custom Air Products & Services, Inc. (CAPS) is pleased to announce that Larry Novak, PE, has passed the Oklahoma Construction Industries Board exam and is now a registered “Contractor” for Custom Air Products & Services. The Oklahoma HVACR Unlimited Contractor exam tests a candidate’s knowledge of all areas of construction including installation, maintenance, repair, and fabrication as well as covering ductwork and piping. Topics on the exam include electrical knowledge and controls, natural gas, air distribution systems, refrigeration and air conditioning systems, heating systems, and safety. In addition to the HVACR portion of the exam, proficiency in a section on Mechanical Business and Law is also required. Custom Air Products & Services is now working on getting several field technicians prepared to sit for the Refrigeration Journeyman and Sheet Metal Journeyman exams allowing the company more flexibility in responding to customer needs in the Oklahoma area. 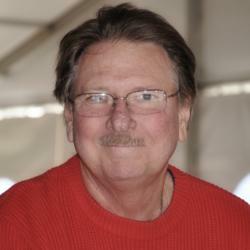 Larry Novak has more than 41 years of experience in the HVACR industry. Larry plays a key role in the ability of Custom Air Products & Services, Inc. to design custom solutions that meet customer needs. Larry has a degree in Mechanical Engineering from the University of Oklahoma. Custom Air Products & Services currently occupies five modern facilities, totaling 200,000 square feet in size. These buildings include administrative and engineering offices, training facilities, a filter warehouse, and service shops for fabrication, manufacturing, and modifications. CAPS services are provided to customers throughout the United States and Mexico while their manufactured products have been delivered to sites around the world. If you’d like more information about this topic, please call Bea Amaya at 713.460.9009 or email her at bea.amaya(at)customairproducts(dot)com.